It was not terribly long ago that I had almost completely rid myself of carrying a laptop. 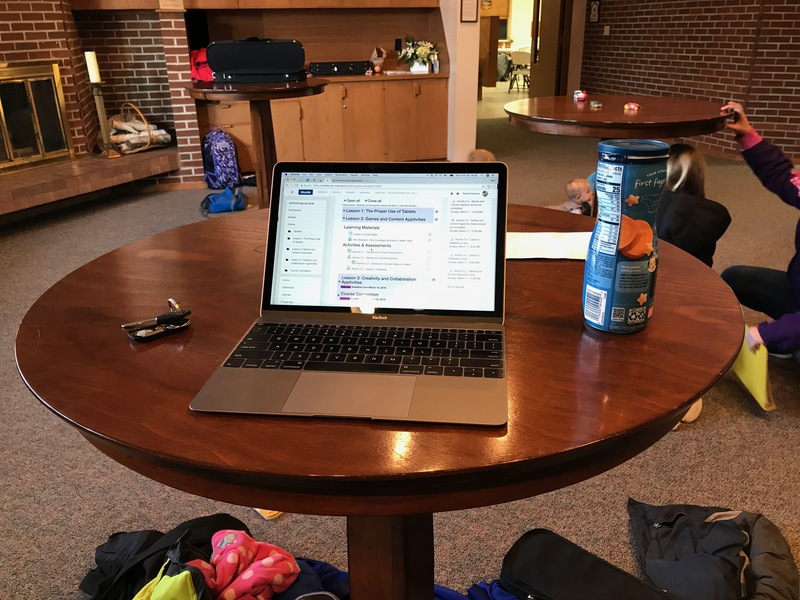 I was able to keep a desktop at home, a desktop at work, and a tablet for those times I was traveling and really needed to get online for something more involved than checking my phone. However, that was then, and teaching online courses has tethered me to a laptop far more than being a sysadmin ever did. My dream of whittling my bag down to a tablet and various other small materials is essentially dead. Current online teaching platforms require a laptop to be effective while doing some of even the most mundane of tasks. This is not a real complaint, more of an observation about how our tools are dictated by the platforms and the assumptions developers make. While my students could effectively handle most of their course from a mobile device (and I have in mind to work toward making the courses I have complete control over as mobile friendly as possible), the teaching experience still requires access to at least a laptop, and often a desktop with multiple monitors. When Steve Jobs spoke about the stratification of computing into different categories (traditional PCs as trucks, tablets as cars, etc. ), I thought the metaphor was apt, but I hoped to be able to stick myself into a car when it came to mobile computing. Instead, I now carry a crossover in my bag so that I might be able to get work done even when I am away from one of my desks. While it works well, part of me wishes I could still stick with just a hatchback.